Within the last hour, ComputerWorld reported that Google Wallet will not be available on the Galaxy Nexus that is headed to Verizon and our inbox immediately took a depressing turn. You shouldn’t be surprised by this news though. You should be annoyed and frustrated, but you should also have expected this to happen. Aside from the fact that I was tweeting about this subject 3 days ago, you have likely seen reports of the ISIS NFC mobile payment system that Verizon, T-Mobile and AT&T have partnered up to make. If you haven’t, I’ll catch you up real quick. ISIS is the next big mobile NFC payment system that is being backed by Verizon, T-Mo and AT&T. They also signed up Motorola, LG, HTC and Samsung to make phones which have NFC chips that will work with this ISIS payment system. So basically, you have the 4 biggest phone makers in the Android game, partnered up with 3 of the 4 biggest smartphone carriers in the U.S. to help turn your phone into a mobile payment machine. It’s a direct competitor to Google Wallet. You probably noticed that Sprint has been left out? Well guess what, they just so happen to be the only carrier in the U.S. (maybe on the planet) to allow a phone (Nexus S 4G) to use Wallet. But since the Nexus S 4G received access to it this summer, no other phone around has. Not even the Nexus S that works on T-Mobile or any of the unlocked versions. You can flash hacked versions of the app to those phones, but it’s not available in the market or officially supported. So with the Verizon version of the Galaxy Nexus around the corner, this report that it won’t have Google Wallet is not surprising. We know that Big Red has their own NFC payment system in the works. 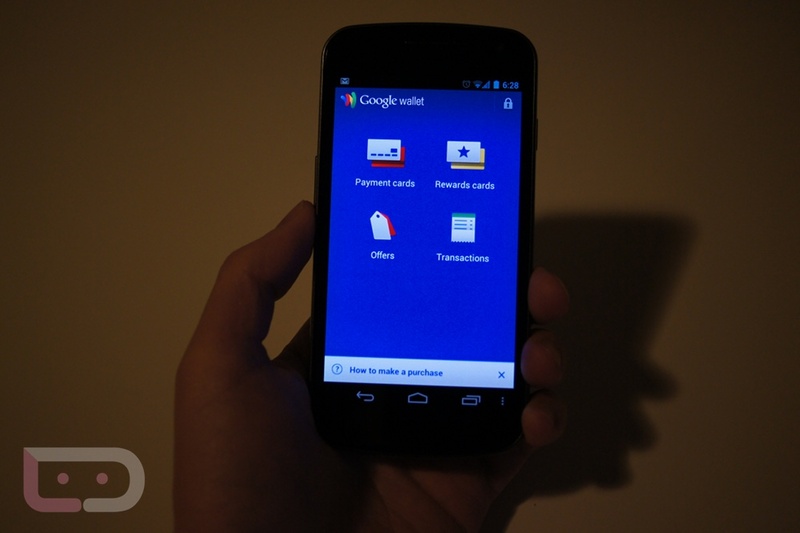 We also know that Google isn’t making Wallet readily available to just any phone, including its Nexus line. Like I said at the beginning of this post, you should be annoyed at this as carriers are essentially blocking you from using apps that are 100% legal and do not violate any terms of anyone’s contract. This isn’t a tethering or root-friendly app that would void your warranty or break your contract, it’s a payment system almost like PayPal. Can you imagine what would happen if these carriers starting blocking PayPal? And as you can see above, my unlocked G-Nex can’t even access Wallet. Crazy, right? Then again, this phone is running on AT&T, who also happens to be a part of ISIS. The good news is, that our developer community has already found a way to get Wallet up and running on the Galaxy Nexus. You may have to root and flash a custom recovery, but hey, isn’t that one of the reasons we are all waiting for this device anyway?